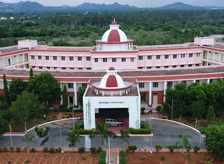 The Department of Zoology was established in the year 1993 from Madras University P.G. 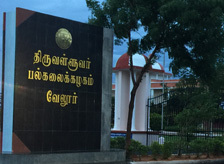 extension centre, Vellore. 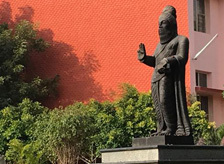 In 2002 the department of Zoology was merged with the new formation of Thiruvalluvar University, Vellore. After completion of 7 years, the department moved to the more spacious new building at Serkkadu, Vellore-115. 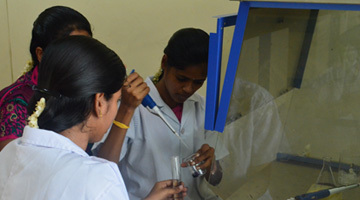 A phenomenal growth in teaching and research from 2010 onwards the research has been engaged in the field of Environmental Science, Aquaculture, Phytotherapeutics, Nanoscience and Entomology. The research activities in this department have a hardhead finding from various government agencies and also have collaborative with other Universities at National and International level. The department of Zoology has been recognized for “DST-FIST programme support (2015)” and become a recognized centre of excellence with great potentiality of science knowledge and innovations. Our aim is to provide opportunities for advanced theoretical knowledge in the field of biological sciences among the rural students of Thiruvalluvar University area. 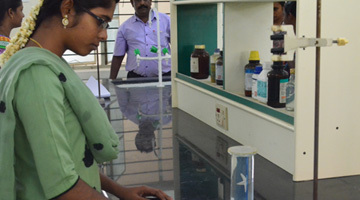 We offer two years M.Sc, one year M.Phil and Ph.D research programmes in Zoology. Our department has produced 37 Ph.D., and 175 M.Phil Degrees. Faculty members have published more than 250 research articles in various International Journals of repute. The Department has received many projects more than 1 crore from various funding agencies. The Alumni of Zoology Department are working in various research organizations and Universities. 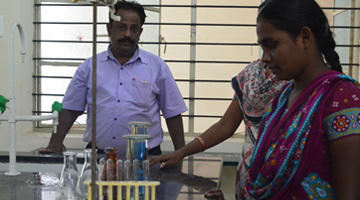 More our aim is to provide opportunities for advanced theoretical knowledge in the held biological science among the rural student is Thiruvalluvar university area. Our university student will carry.